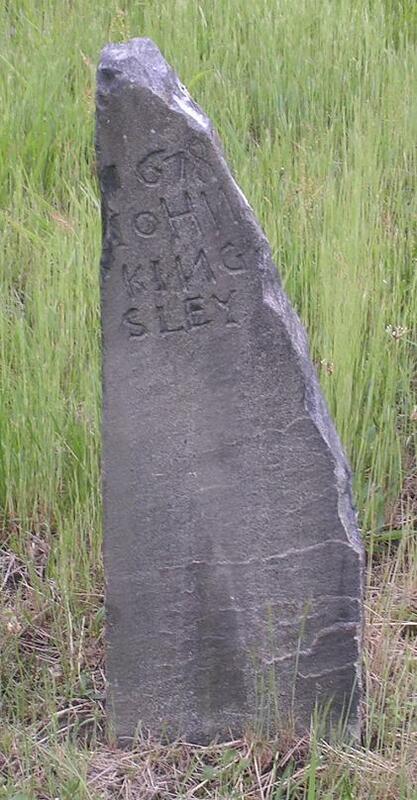 John KINGSLEY (1614 – 1679) was Alex’s 11th Great Grandfather, one of 4,096 in this generation of the Shaw line. John Kingsley was born on 7 Sep 1614 in Hampshire, England. His parents were John KINGSLEY Sr. and Katherine BUTLER. On 3 Jun 1635, John Kingsley, his brother Stephen, and Captain John Smith sailed on the James from Bristol, England. Among the one-hundred passengers on board was a minister Richard Mather who sailed in disguise to America in escape from the wrath of King Charles. He wrote a journal giving details of the trip. They tried to stand down during the storm just outside the Isles of Shoals, but lost all three anchors, as no canvas or rope would hold. Their cables were lost and sails were destroyed, but after the storm the sailors made new sails and steered their ship into Boston Harbor and landed in Boston 17 Aug 1635. John married Elizabeth STOUGHTON about 1636 in Dorchester, Suffolk, Mass. After Elizabeth died, he married Alice Thatcher after 1656 in Dorchester, Mass. Finally, he married Mary Johnson on 16 Mar 1674 in Rehoboth, Mass. John died in Briston RI and was buried on 6 Jan 1679 in Rehoboth, Mass. Elizabeth Stoughton has no documentation to support her maiden name. A source says this is NOT Elizabeth Daniels, who married John Kingsley of Milton. Nor is is Elizabeth Stoughton, who died as a child. Alice Thatcher was born Abt. 1608. She was the widow of Richard Jones, Alice died 14 Jan 1672/73 in Rehoboth, MA. Alternatively, her first name was Mary. Mary Johnson was born 31 Jul 1614 Herne Hill, London, England. Her parents were John Johnson and Mary Heath. Her grandparents were John JOHNSON Sr. and Hannah THROCKMORTON. She firs married 1639 in Roxbury, Suffolk, Mass. to Roger Mowry (b. 1612 in England – d. 5 Jan 1666 in Salem, Mass.) Her daughter Mehitable Mowrey married John’s son Eldad. Mary died 9 Jan 1678 in Rehoboth, Bristol, Mass within a few days of her husband. Dorchester, Mass. John FRENCH Sr. Believed to have returned to England for Education. Tradition says that as William II of England or William Rufus (the Red King) was one day hunting in the New Forest, he became separated from his companions and attendants, and wandering aimlessly about the forest and glade, became hopelessly lost. But just as night was closing in with its darkness and gloom, he espied a friendly light gleaming from the cabin of one of the yeomen who lived on the confines of the forest. Hastening thither, he begged shelter for the night, without making his identity known. He was kindly received and hospitably entertained so far as the means at hand in the humble abode would allow. The man of the house at once slaughtered a young goat from which, with other means at hand, his good wife prepared a savory repast, whose delightful odor reached the nostrils of the hungry King and whose delectable flavors greatly pleased his palate. The King of course being weary from the arduous sports of the day, the humble couch provided him brought most refreshing slumbers, from which he awoke to partake of another bounteous repast, which the wife had prepared (such as her female descendants have ever since been noted for preparing). In going abroad by the light of day he discovered that he was in his own meadow or Lea, as it was anciently called in England. He was so delighted with the hospitality he had received that he bestowed the whole of that portion of his domain known as the King’s Lea upon his host and made him a Baron. The recipient took the name of the land bestowed upon him, Kyngesleigh (or Kingsley), and the family crest or coat of arms contains the King’s crown surmounted by a goat’s head. Many of his descendents because of the prejudices ofthe revolutionary period against the word ‘King’, have followedthe spelling Kinsley. John Kingsley became a member of the Church at Dorchester on 23 Aug 1636, and Elizabeth Kingesley a little later in 1636. John Kingsley was one of the seven signers of the church covenant signed in 1636 at Dorchester, Mass. He and Elizabeth married there, and she was the second church member when her marriage covenant was signed. John resided at Dorchester, Suffolk, Massachusetts, between 1635 and 1648. He was appointed bailiff in 1647, tax collector in 1648, and an elder in the church in 1655. 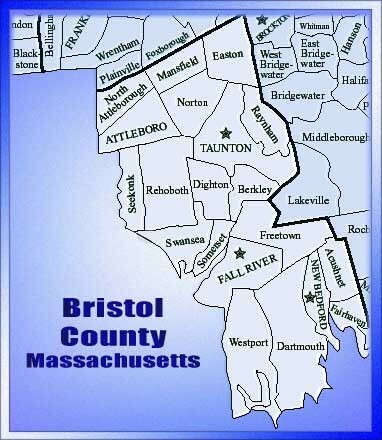 John Kingsley and Alice Thatcher removed to at Rehoboth, Bristol County, Massachusetts, between 1662 and 1668. 1645 – John acquired the first grant of land in Taunton, MA and relocated there, where he became a shareholder in Great Lots the following year. c. 1649 – The family moved to Rehoboth, MA. spent about ten prosperous years in their fertile farm east of Seekonk River. They raised grain and had horses, cattle, sheep, swine and fowls. 1676 – When the King Philip’s War broke out, all the able men went to Boston and joined the war, women and children went to Swansea and Rehoboth when a Rev. Johne Clarke gave them shelter. The Indians burned the towns but John Kingsley’s home was saved by being in a fortified garrison home. Five weeks of isolation left them starving and he wrote a letter to frinds in Connecticott to please send food. About three weeks later food arrived in Boston and Rehoboth. A party of the Indians, crossing the river, laid the town in ashes, burning forty houses and thirty barns. Only two houses were left standing, the garrison house, which stood on the spot where the house of Phanuel Bishop now stands, and another home on the south end of the common, which was preserved by blak sticks having been arranged around it, so as to give it at a distance the appearance of being strongly guarded. The houses were set on fire, as tradition informs us, early in the evening, and when the sun arose the next morning it beheld only a line of smoking ruins. John was saved by being in a fortified garrison home. (Mary had probably fled with the other women and children to Newport where Rev. John Clarke provided shelter for them) Five weeks of isolation had left them starving and he wrote a letter to friends in Conn. to please send food. About three weeks later food arrived to them. At a meeting of the Councill Hartford May 26, 1676, Major Robert Treate, Esq., Dep. Gov. ; Captain John Allyn and Mr. John Wadsworth. Wheras the General Court ordered that there should be 600 bushels of wheat raysed upon the county of Hartford, to be proportioned by the Authority of this county, upon the seuerall plantations, to be improved and baked into bread for the country’s use, which is thus proportioned: upon Hartford, 174 bush. ; Windsor, 152; Wethersfeild, 134; Farmington, 74; Midleton, 46; Hadum, 20, which is to be raysed forthwith and brought to Hartford, to be ground into flour and baker pr the baker, all except Windsor proportion, which is to be baked there. The Secret’y to send out warrants to the respectiue townes, accordingly. May 30, 1676. To all Christian friends, the good people unto whome these present writeings shall come greeting: Whereas we haue recieved a letter bearing date May 5, ’76, from one John Kingsley, of Seaconck or Rehoboth, whereby we are credibly informed of the great straights, difficulties and wants, not onely of *o’ Christian friends there but of very many of o’ dear friends the Lord’s people in that Colony of New Plimouth and elcewhere, by reason of the prevayleing of the cruell enemie, by burning, killing and destroyeing people and places not a fewe; and being called upon for releife, we haue thought fit to recommend it to your pious consideration to remember the poore and them that are in bonds, as bownd with them; it being a worke that even nature, God and man calls for of us, to extend o’ compassion and charity for the supply of o’ distressed friends necessities, whose lowd cryes of their misery doth answerably call for o’ liberality and mercy, least the Lord should justly turn his hand from them to vs. We desire that you would appoint one in each congregation, to receiue your liberality and to take care for the speedy and effectuall sending the same to Boston and Seaconck, to be distributed to those in necessities. Deacon Walker of Seaconck is recommended to vs as a suitable person to receiue and distribute what shall be sent to Seaconck and the rest may be sent to Mr. Thatcher and Mr. Mather of Boston, to be by them put into some faythfull hands to be distributed amongst the people in necessity in the Massachusetts and Plimouth Colony. Mr. Shepherd, added. Ser, I sallvte you with al’ that cal on the Lord Jesus, thayer Lord & oweres. I did despach a few lines to New Noriage & so to you & the rest on your river, but fearing it should not come to your hand & those which it concernes, I nowe in my sickness that he Lord hath laid on vs as hee did on Job—I am now in a fever or ague, yet I doe judge I follow Pale (Paul). I can say truely that since ovr wares begun my flesh is so gon with feare, care & grife & now this sickenes, my skin is redey to cleave to my bones. Now being vnknowne to you beloe on the river, I say I am the 1 (one) man & onely left of thse that gathered the Chvrch that is now in Dorchester, yet of lat have lived at Rehoboth or Seconke & hath sufered deepe, with my neighbovres. Now to tel you what wee have & how wee are like to sufer, my hart wil not hould to write & sheetes would (not) contayne. I am not able to beare the sad stories of ovr woeful day, when the Lord mad ovr wolfish heathern to be our lordes, to fier our towne, shout & hollow, to cal to us to come out of our garisones. Some did goe out alife, with sucsese; but had not ovr God restrained them, they were enow to have swallowed vs all vp. They burnt our milles, brake the stones, ye, our grinding stones; & what was hid in the erth they found, corne & fowles, kild catel & tooke the hind quarters & left the rest, yea, all that day the Lord gave lisones (license) they burnt cartes wheles, drive away our catel, shipe, horses, in a word had not the Lord restrayned thay had not left won to have tould of our woful day. Wee lost but on siley man that day. Wee are shut vp in our garisones & dare not goe abroad far to our outlandes, without som strength. Som of our souldiers are removed. Nobodey comes to say, how doe ye. Counsel from Bost. & Plimouth was to stay, uneles all had gon that could and left the rest to perish, yet now every rod of ground neare garrison is broaken vp & where house and barne stood now put in beanes & sqvashes; but alase, what wil doe against famin? Now to leave all ovr danger, fear of sword, famen stares vs in the face. Now to my comfort I heare you have store of corn, ye tho you doe not sow in som years. Now misery cales for mersey but I consave is distress. * The truth is my hart wil not beare to write. Ah, the burden that I beare night & day, to see the blessed and loving God thus angrey, & wee have not a Profet to tel how longe, & to say this or these are New Englandes sinn. For general sin cales vseley (usually) for generall plagve; which is now. Deare brethren, if there be power in your handes, doe not say, goe away & com agayne. It is betur to die by sord than famen. Therefore I beg in my Lourds (Lord’s) name, to send vs som meal; for if wee sent it (to) Road Island there is wone wolf in the way & hee wil have money, which won of 40 hath not it to pay, tho they starve; yea 1-sh (one shilling) for 1 bushel, caring & bringing. There is another, that is the miller & hee takes an 8 part. O New Ingl. When wilt thou leave off opresing. It may be in som of your mindes to say, why doe not he hed men write, but onely this ould pore man. I say onely, I wil lay a mantel on my shoulder & goe pakewardes (backwards). There is but too (two) that knows of my writing, & the won descoriged me, but I know how earnest Pal (Paul) begged prayeres that which hee cales grase might be expekted. I pray if this com in to the hand of aney that fere God, doe against famin? have a wiling mind may hav a hand to save vs from famen. I doe not beg for money to bild houses, Ah noe, noe. If any wil send meale, pray let deacon Walker distribut it. I knowe no man like minded. It would be a dishoner to such a people as you, to vse argements to stir you vp to such a worke. I leave this & you all to the good hand of God, throw Jesus Christ, who is the define head of that blessed Covenant of Grace & fovntayn of all good. Bere with my writing, who came of (off) my sicke bed to make an end of these lines. If aney that here or recede wil tryst mee won harel of indien meal & won of wheat. I do promise to pay, I or mine, when the Lord shall tvrn to his people with peace. If aney know or here that Enoes Kingsley be alive, at Northampton, lett (him) know that I his father am a live tho no shelter for my grey head, onely with won swine God left when hee sent our enemyes to be our lordes, & blessed be his holy name; hee gave & hee tooke. I prayed seven yeares to be fited to suffer common calamity, so the thing I peared (feared) is com on mee; but alas I am redey to fant in the day of adversetey & show my strength is smal. (Directed) For this much honored friend, the preacher of the gospel at Hartford, Conn., these, with speed, as consernes maney. The Indians assaulted Rehoboth, on the 28th of March. They burnt thirty barns and near upon forty dwelling houses, thereby as it were threatening the utter desolation of that poor town. Robert Beers, slain ye 28th March, 1676. It is said that he was a religious, but eccentric and superstitious man, and that on the approach of the Indians, he refused to go into the garrison house, but sat down in his own house, with the bible in his hand, believing that while he continued reading it, nothing could harm him. He was shot through the window and fell with the bible in his hand—Bliss History of Rehoboth, p. 96. *This is believe to be the reading of the original; but the meaning is obscure. Probably one or more words necessary to complete the sentence were omitted by the writer. From the vital statistics of Rehoboth, Mass., where he lived during the later years of his life, we learn that John Kingsley was buried Jan 6, 1678. Also that Alice the wife of John Kingsley was buried Jan 4, 1673. He was one of the seven original members who organized the Church at Dorchester in 1636 and signed the Covenant. Rev. Richard Mather the grandfather of Cotton Mather was the first pastor under the covenant. Kingsley was the last of the seven to survive. He was a man of strong religious convictions and was obliged to leave England on account of his religious principles. (Plym. P.) The will of John Kingsley of Rehoboth, made 2 Nov. 1677, mentions, to be buried by my wife Allice in the North Corner of my house lott; wife Mary to be sole exex. of this my will, and when my wife Mary shall die, then my son Eldad my sole exor. ; children Enos and ffreedum five pounds a peece; I look that Eldad and his to be a staffe to us in our old age, forJohn French hath left mee in my old age, when I had most need of him. Witnes: Robert ffuller, Phillip Walker. Proved 5 Mar. 1678-9, when the inventory was exihibited. Enos’ first wife Sarah Haynes was born 1642 in Springfield, Hampshire, Mass. Her parents were Edmond Haynes and Hannah Lambe/Dewey. Sarah died 7 Dec 1691 – Northampton, Hampshire, Mass. Enos’ second wife Ann Dickerson was born 1636 in Weathersfield, Hartford, CT. Her parents were Deacon Nathaniel Dickinson and Anne Gull. She first married John Clarey. Ann died 16 JUL 1723 in Northampton, Hampshire, Mass. Believed to have returned to England for Education. Some genealogies say Edward Kingsley and Eldad Kingsley were the same person. Renewed’s husband Timothy Jones was born about 1640 in Dorchester, Mass. His parents were Richard Jones and Alice Elizabeth Thatcher. Timothy died about 1677. This entry was posted in 13th Generation, Historical Monument, Immigrant - England, Line - Shaw, Pioneer and tagged Dorchester Pioneer, Great Colonial Hurricane of 1635, Richard Mather, Starving in a Garrison House, The James 1635. Bookmark the permalink. May I ask where you found the information that said that John Kingsley was the son of John and Katherine Butler? All I have found was unsourced internet records and tertiary books. Thank you. I don’t remember where I found it. Probably as you say unsourced internet record. Do you know where I can find a copy of John Kingsley’s will that you cite? I’m not sure, but I bet KINGSLEY FAMILY OF AMERICA by William Author Kingsley has a copy of the will. What evidence supports a conclusion that Alice’s maiden name was Thatcher? According to Torrey’s New England Marriages to 1700 she was the widow of Richard Jones, and no mention is made of her surname. Thanks for posting this; I am a descendent of John Kingsley’s. Betsey Ann Kingsley married my great great grandfather Reuben Jackson Brown. When reviewing the timeline, I am a bit confused. You indicate that J.K. became an elder at the church in Dorchester in 1655, yet you have him removing to Taunton in 1648. You also indicate that he removed to Rehoboth c1649 and also between 1662-1668. I know that Taunton is near Rehoboth, but are they considered the same place? In other words, did John move once (Dorchester to Taunton/Rehoboth) or twice (Dorchester to Taunton to Rehoboth)? I am trying to reconstruct John’s life, but am puzzled by the dates/locations reported on the internet. Thanks for sharing all of your excellent research. There are a number of items listed as ‘facts’ that are unsupported by documentary evidence. It would be desirable to see the text changed accordingly.